On 7th February 2018, under the Erasmus+ Programme – Higher Education – Staff Mobility for Training, the AEPQ-Institutional Studies, Planning and Quality Area’s Coordinator presented the SiQuIST-Integrated Quality Management System of the institution to some key elements of the American University of Armenia (AUA), namely, the Vice-President for Operations, Ashot Ghazaryan, and the Installation and Services Director, Chahan Sarkis Jebejian. 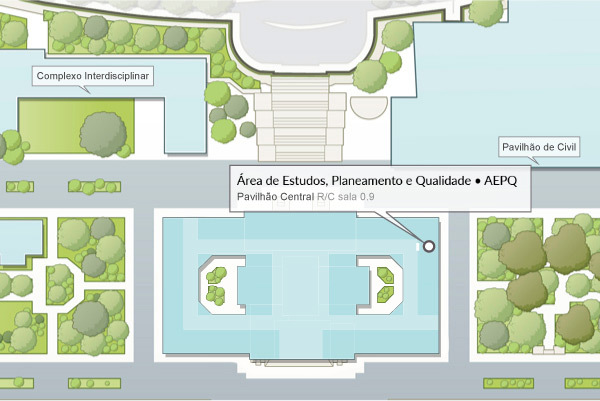 The objective of this Programme targets the institutional cooperation activities, establishing an organized 5 days long visit plan by the host institution, with a special focus on visiting similar services or offices and the dissemination of the Instituto Superior Técnico (IST) in the host institutions. The AEPQ’s coordinator elaborated a brief presentation of the good practices developed in the management frame of AEPQ, which were recognized by the IST Good Practices Observatory (ObservIST).